Online genealogical resource that offers a wealth of information in an easy-to-use format, including records of more than and 4 billion names in over 4,000 databases. It includes census data, maps, military, immigration, DAR records, slave stories, and more. Funded by Thayer Public Library. 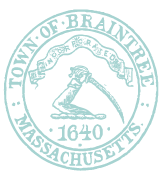 Digitized Braintree High School yearbooks from 1935 to 2016. Browse through any year or download as many as you want to search for friends and relatives! An interactive learning environment for ages 4 to 7 that gives early learners enjoyable, engaging, and developmentally appropriate activities. Includes atlas, art activities, games and learning materials, audio and video, vocabulary builders, and more. The Central Register is the weekly source for information about state, county and municipal contracts being put out to bid for the design, construction and reconstruction of public facilities in the Commonwealth of Massachusetts. Invitations to bid, lists of contractors picking up specifications on a weekly basis, and final awards of contracts are all published. Proposals and advertisements for the lease, sale or transfer of real property are published; as are lists of certified minority and women contractors and contractors who have been debarred from state work. Weekly publication contains solicitations for the procurement of commodities and services (which, generally, are unrelated to construction of public facilities). State purchases of goods and procurements of certain services or consultants are published. Notices advertising sole source procurements and the availability of surplus property are also published in the Bulletin. Research your family tree with over 25,000 books, the entire U.S. Federal Census, and other expanding collections. Funded by Thayer Public Library. Borrow movies, music, audiobooks, ebooks, comics and TV shows to enjoy on your computer, tablet, or phone – and even your TV! With no waiting, titles can be streamed immediately, or downloaded to phones or tablets for offline enjoyment later. There are hundreds of thousands of titles to choose from, with more being added daily. Funded by Thayer Public Library. Search magazines & reference books for information on current events, the arts, science, popular culture, health, people, government, history, sports and more. This database is designed for students in kindergarten through grade five. Covers diseases, disorders, treatments, procedures, specialties, biology, and issues in an easy-to-use A-Z format, with sidebars addressing recent developments in medicine and concise information boxes for all diseases and disorders. Funded by Thayer Public Library. Earth Science — This eight-volume set is comprised of four parts: Earth Materials and Resources; Earth’s Weather, Water, and Atmosphere; Earth’s Surface and History; and Physics and Chemistry of the Earth. Together they provide an introduction to our latest understanding of the Earth’s physical features and dynamic processes , as well as those of the solar system in which it resides. Small Business Resource Center covers all aspects of starting and operating a business, including finance, management, marketing, human resources, franchising, accounting, and taxes. It includes the Business Plans Handbook series (containing hundreds of sample business plans created by real-life entrepreneurs), the Encyclopedia of Major Marketing Strategies, Encyclopedia of Management, and Encyclopedia of Small Business, and other award-winning reference titles, as well as 300 business journals and magazines. Value Line, an authority in reliable, unbiased information, can position you for financial success quickly and easily. Value Line provides accurate and insightful investment research on companies, industries, markets and economies. From the latest data, sophisticated tools and proven ranks to expert analysis and guidance, Value Line gives you the power to evaluate investments with confidence. Funded by Thayer Public Library. Find content from nearly 400 journals that can help with job searching and maintaining a career. It includes information ranging from general career guides to industry-specific journals.